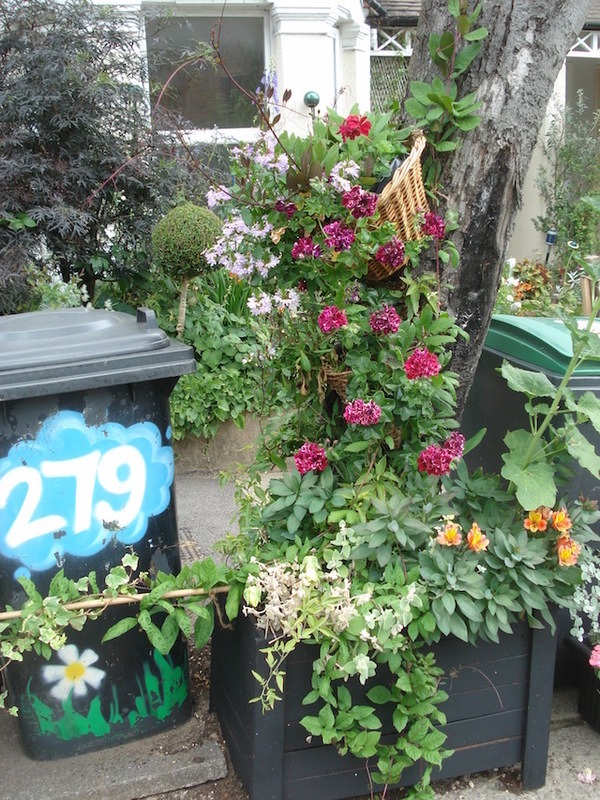 Alexandra Park Road bins, winner of the 'Gardens That Make You Smile' award. 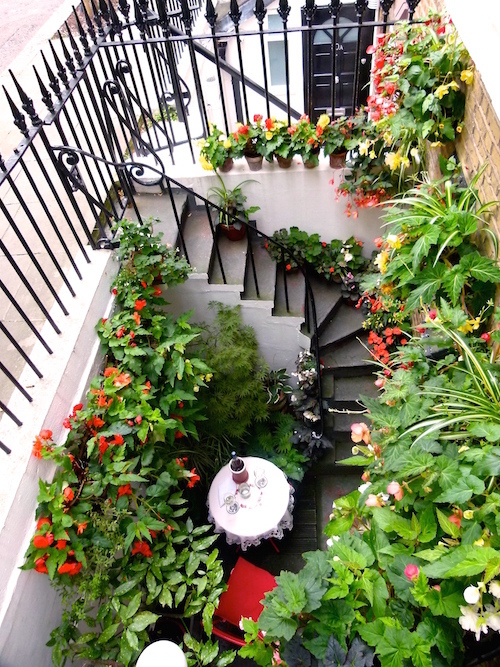 The Earls Court Basement Garden nominated by Dean Addams. Kennington Cross in south London is a busy spot and the colourful tree pit created by John Kitching. 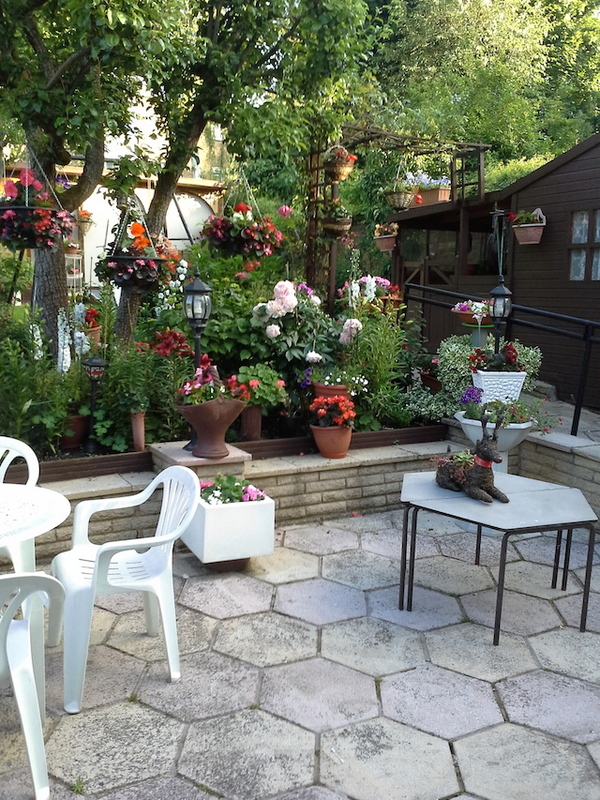 The Jessa Family Garden in Friern Barnet. 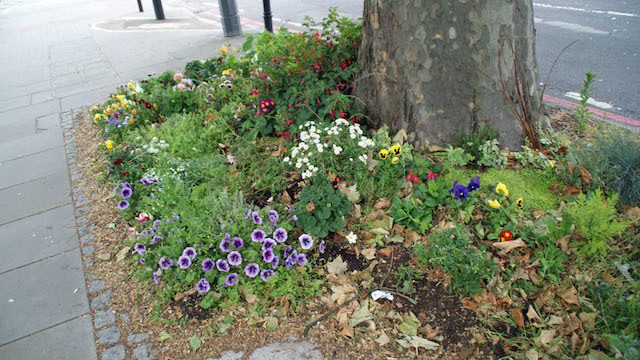 Neighbours in Alexandra Park Road, Haringey, who brightened up their bins with colourful floral displays have won the first "gardens that make you smile" award in the annual Gardening Against the Odds awards. 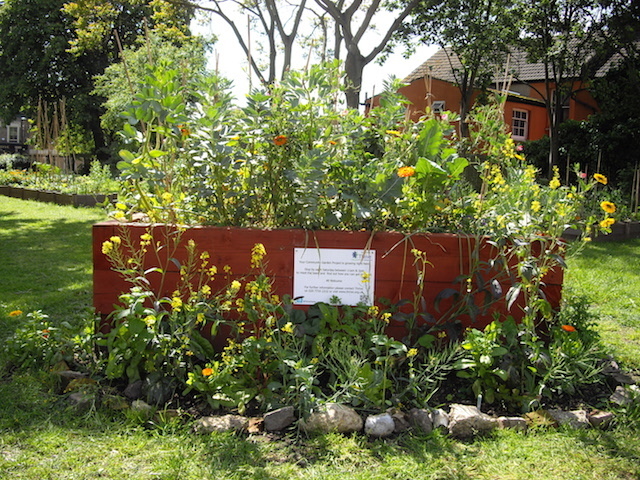 Evering Road Kitchen Garden, Stoke Newington was planted this spring by volunteers and service users at North London Action for the Homeless and its fresh produce creates lunch and dinner twice a week for the drop in centre, which also sells its own chutneys, herbal teas and seeds to raise funds. Find out more about Gardening Against the Odds online and get ready to suggest more London gardens that make you smile when nominations open again in the summer.